- Minimum 10 years experience with at least 5 years experience in similar capacity in Oil & Gas. - Able to interpret technical drawings,manuals,policies and procedures. -Candidates must ensure good progress quality of work at site that meets client’s requirements. ·Able to prepare detail Construction Schedule and monitoring. ·Ability to work in teams or as independent, possess excellent communication and interpersonal skills. -Capable to prepare electrical deliverables such as Single Line Diagram, Load Schedule, Motor Control Schedule, Cable Schedule, Cable routing drawing, Power and Control drawing, Area Classification drawing, grounding drawing, etc. ·Sufficient knowledge of International Codes & Standards in relation to Electrical Design. ·Able to undertake works in electrical design up to construction at site (supervision). ·Experience in Project Engineering, Preparation of Electrical Inquiry Documents and commercial/technical Bid Evaluation. MTO and Cost Estimation and Inter-Discipline coordination. ·Familiar with Electrical Equipments such as Transformers, HV & LV Switchgear, MCC, Motors, UPS, LCS, Communication equipments, etc. ·Able to perform Electrical calculation such as Cable sizing/Voltage Drop calculation, Short circuit study, etc. ·Possess a Degree in Civil Engineering from a recognized university. ·At least 4 years of working experience in Civil & Structural Design in Oil & Gas, Petrochemical industries. 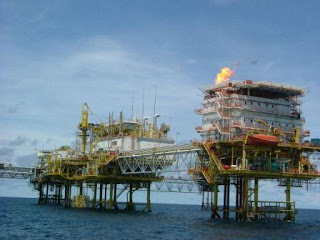 ·Experience in Oil & Gas project would be an advantage. ·Knowledgeable to operate STAAD pro, AutoCAD and ESTEEM. ·Able to do BQ estimation for cost estimation and as-built purpose. ·Able to do inter-discipline co-ordination and possess good communication skills with clients and sub-contractor.